The word Chaat literally means to lick in Hindi language. These are snacks served either at road side or stalls. With changing times these are also served in restaurants and even five stars hotels. In India the origin of Chaat has been from Uttar Pradesh , but now popular through out India, Nepal, Bangladesh. It is also seen in other parts of the world and is considered a true treat. The Chaat has some fried breads and from different flours , which are topped with boiled potato, sprouted beans, boiled chick peas. These are then topped with yogurt and spicy sauces and spices. There are basically three main sauces or chutneys as we call them. 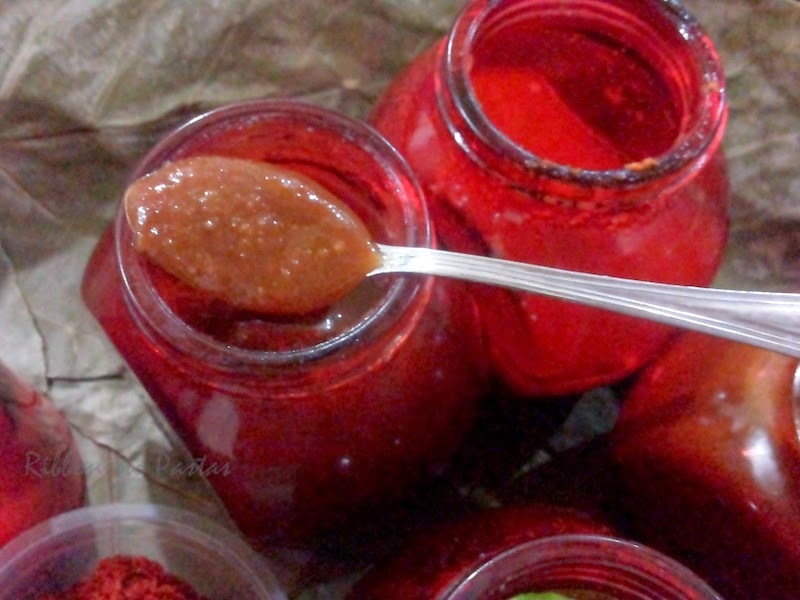 The first chutney is the Hari Teekhi Chutney. This chutney is made with fresh coriander leaves, mint leaves , green chillies .to make it tangy lemon juice, raw mango or tamarind is used. 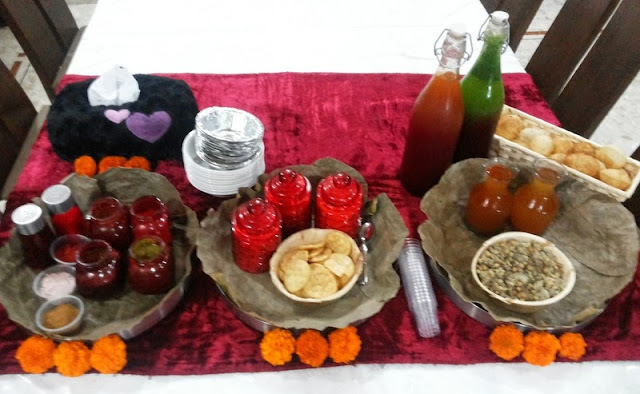 Now there are different spicy chutneys , each varying with the chaat. Next comes the Khatti Meethi chutney or sonth. This is sweet and tangy at the same time. This chutney too has umpteen variations. Some make this with tamarind, some make with dry mango. To sweeten some use sugar , while some use jaggery, dates too are used in this chutney. In North specially in Delhi one can see bananas , apples in these chutneys. There is a rich version of this called the Shahi Imli Sonth and this version has nuts and raisins. This is best served with Dahi Wadas. 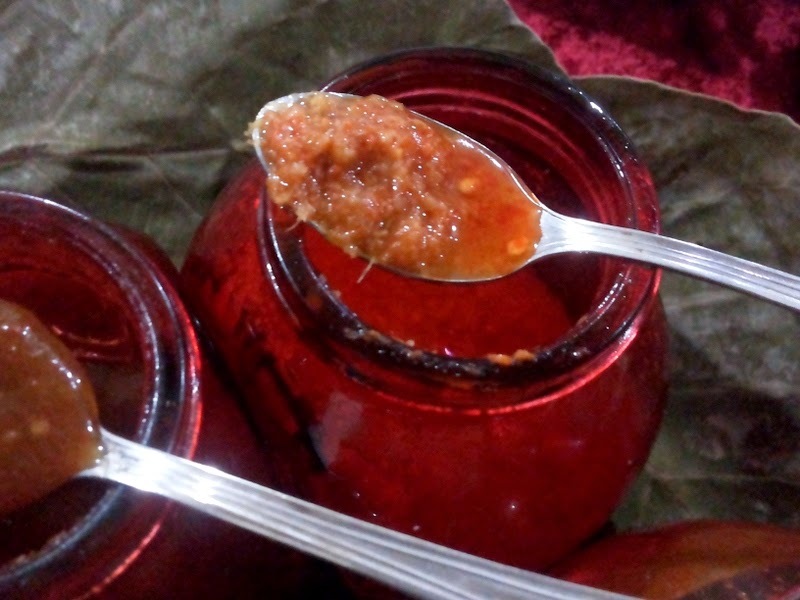 The third chutney is the Lassan ki chutney. 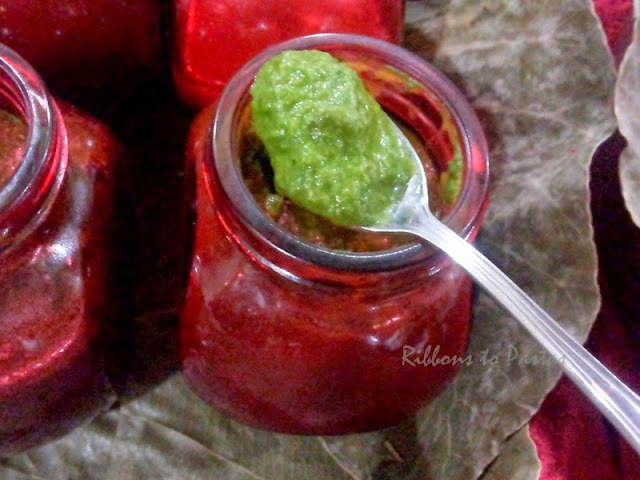 This is made with garlic and red chillies.The garlic chutney is more popular in Maharashtra and Gujarat. There are various toppings on chaats, sev, the deep fried gram vevermicelli ,salad, onions, coriander, pomegranate, beetroot are some of the main toppings. Also we cannot forget that the chaats vary from state to state. There serving style varys too. Some are traditional chaats while some are innovative ones. In the North one can see Bhalla Papri Chaat, whereas in Maharashtra, it would be Dahi Batata Puri. Oh I can go on and on on this topic but let us come to today's post. Chaats from any state , have always been my favorite food and I serve them quite often. My fridge is always stacked with all three chutneys,boiled potatoes. The pantry always has sev and some kind of fried breads. Today I shall be posting the three essentials of chaat. Yes, you guessed right. 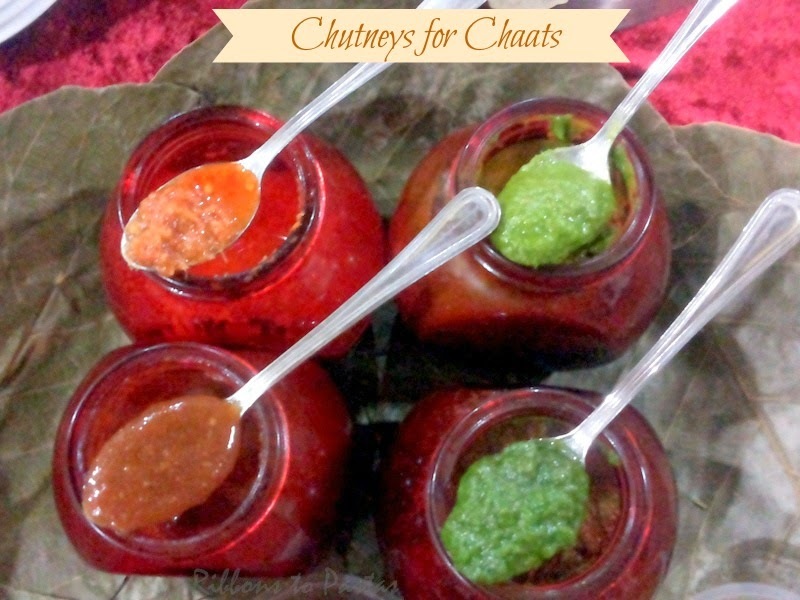 The chutneys for chaat. Blend all ingredients and make a fine paste. Boil the tamarind and sugar or jaggery. Add both the salts and red chilly powder. Let it cook till thick and reaches the desired consistency. Add garam masala and asafoetida. Let cool, before pouring into a jar. Ideally you could take a test check, by talking a drop in a bowl. On cooling take the drop between fingers, it should be 2 string consistency. Add all ingredients to a blender and make a fine paste. This paste would be really thick and like a concentrate. When needed, add water to get the desired consistency. These are some of the pics of one of my Chaat Parties.